I've had quite a tough time putting this list together, I don't think I've personally been listening to albums as much this year as I usually do. That's sort of left this list very #alt/rock centric which is fine but I don't know if it's an accurate representation of what goes on at WIIHAMB. But it's okay, because next year I will be implementing Breaking More Waves' "scientific" answer to end of year album lists. You can view exactly what they did here. In reality, I'll do this for January and then get bored, but it's nice to think I will do it isn't it? 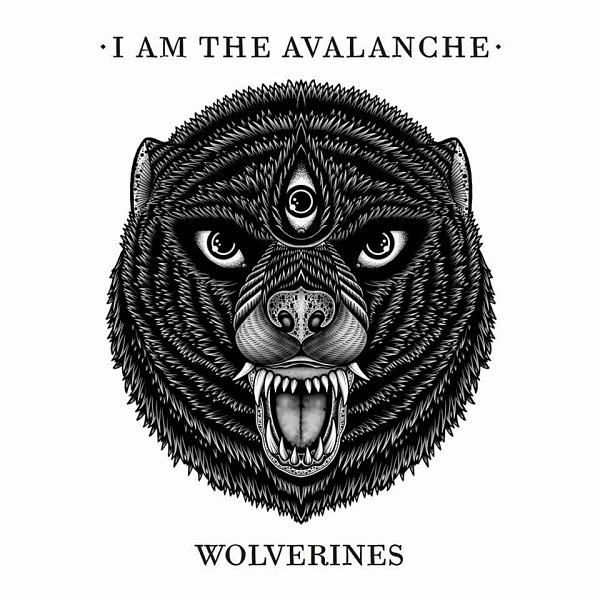 I've loved I Am The Avalanche's debut self titled album for about eight years now. When the follow up 'Avalanche United' was released around five years after the debut, I skimmed over it; it wasn't the same and at the time I wasn't interested. With a shorter wait between albums, IATA's third effort 'Wolverines' reignited my love for them and I couldn't be more grateful. 'Wolverines' is fast paced, the New York five piece rattle through ten tracks before you know it. The singalongness... singalongability... ability to sing along to the choruses on the likes of '177' and 'The Shape I'm In' really make this album. I don't know how to explain this, but there's something really authentic and genuine about Vinnie Caruana's vocals. They make the songs more real, more believable, and I don't know if I could say the same about any of the other albums on this list. Remember my favourite phrase #PopPerfection? Good, because Ariana Grande's sophomore album is just that. Her first album saw guest appearances from Big Sean and Mac Miller, and this second effort has spawned worldwide hits with features from Iggy Azalea and Zedd. I don't like to gloss over 'Problem' but we've all heard it and we all know that it's a 10/10. It's a fact that I'm not compatible with ballads and there are a few of those on here so I'm going to skip those and focus on the good bits - although upon reflection, the ballads are still quite good. 'My Everything's holy trinity starts with the Cashmere Cat produced 'Be My Baby', followed by Diana Ross/Notorious BIG sampling 'Break Your Heart Right Back' and completed by 'Love Me Harder' featuring The Weeknd. If you want a synopsis of why this album is great, those three tracks should do the trick. Fun fact - boring ballad 'Just A Little Bit Of Your Heart' was penned solely by none other than Harry Styles, according to Wikipedia. September 2013 I saw The Elijah play their final UK show at The Underworld supporting Being As An Ocean on their European run. With Michael McGough joining Being As An Ocean it felt like they were gaining, in my mind, what the best part of The Elijah had been. McGough's vocals give BAAO a new edge and a depth to their music that was lacking on debut album 'Dear G-D...'. I do find something outrageously pretentious about the song titles on 'How We Both Wondrously Perish' but I'm willing to put that down to me not "getting the scene" and luckily they've got very little to do with the music itself. Similar to a couple of artists I was talking about in my EPs list yesterday, the tracks on this EP are just beautifully constructed - I don't know what the technical term for this is but hopefully you get the gist. 'L'exquisite Douleur' probably best sums up this album, encompassing what fans liked about the debut as well as the new elements. At the start of 2014 I tried to do album reviews on WIIHAMB; the format didn't last long but 'Shadowed By Vultures' was one that made the cut and I originally gave it 9/10. 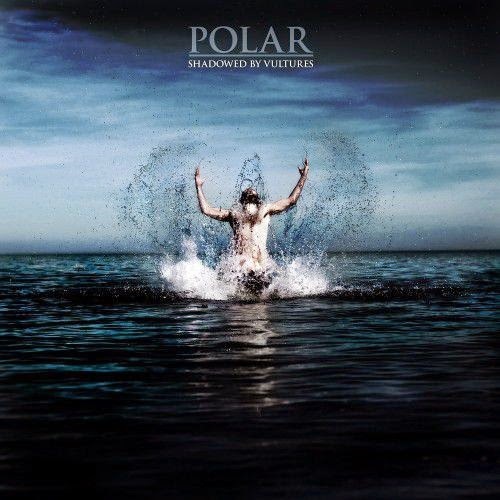 Eight months on and I'm not sure I'd be quite so generous but Polar's second full length effort was definitely one of my most played albums in the first half of 2014. ‘Shadowed By Vultures’ is so impressive compared to what I thought I'd heard from Polar before. The standout moments on this album come from 'Before The Storm' followed by single 'Mountain Throne'. 'Before The Storm' is such a sharp contrast to the rest of the album, featuring vocals courtesy of Signals' Ellie Price, a beautiful and haunting three and a half minutes that despite being so different to the other tracks, still fits so well. Polar are actually playing 'Shadowed By Vultures' in full in London on February 19th if you wanted to check it out. I fell in love the first time I heard Dae Zhen. In short, he's a rapper from LA and 'Women & Wordplay' is his debut album. I've said pretty much the same thing each time I've posted about Dae Zhen, but his rapping meets his singing perfectly, there's the optimal balance between the two in every song. My favourite thing about 'Women & Wordplay' is its lyrical content, it's believable and interesting and depicts real things in his life. It's something that's really refreshing to hear in hip hop. 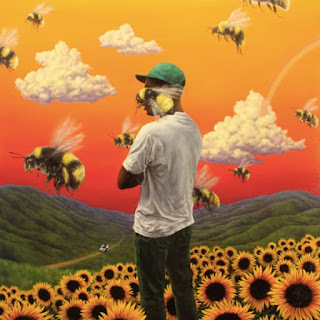 The whole album is just so chill, it's like easy-listening rap, which sounds weird when I come to explain it but it works and it sounds great. The production throughout is also nigh on perfect as are the samples which include Lion Babe's 'Treat Me Like Fire'(!!!). The bombshell? 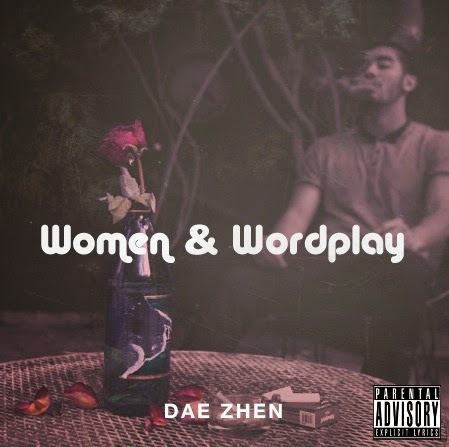 Women & Wordplay is free to download on Dae Zhen's Bandcamp. If you didn't hate this, check back tomorrow for round two. And feel free to figuratively slap me round the face with your opinions on my choices in the comments below. I know you won't, but I thought I'd ask anyway. I’m into alternate rock music too. Thanks for posting about your top ten picks. Glad that you added your comments along with each album in your list.